Sleek design and convenience meet with this Primo Stainless Steel Bottom Loading Water Dispenser with a premium self-sanitization feature that uses harmless ozone to sanitize water reservoirs and lines. 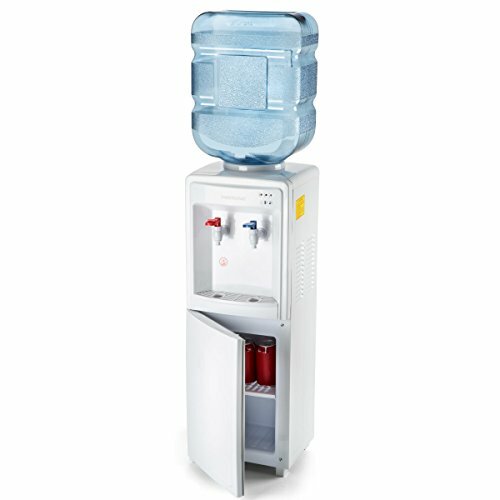 This bottom-loading water cooler provides access to cool, ice-cold or piping hot water in an instant with push button controls. Simply place the drip tray, load a 3 or 5 gallon bottle of Primo water and start hydrating in no time, no plumbing or installation required. 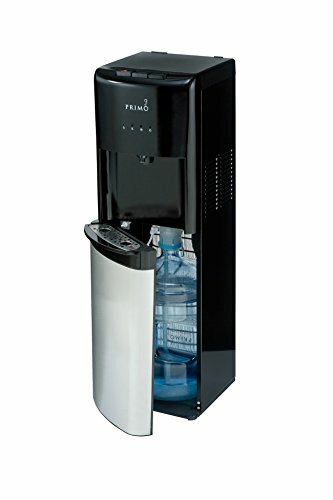 Whether you choose a 3 or 5 gallon bottle of Primo Purified Water with Minerals or you refill your own bottle at a Primo Self-Service Refill Station, our multi-step reverse osmosis process ensures you'll be drinking high-quality water. 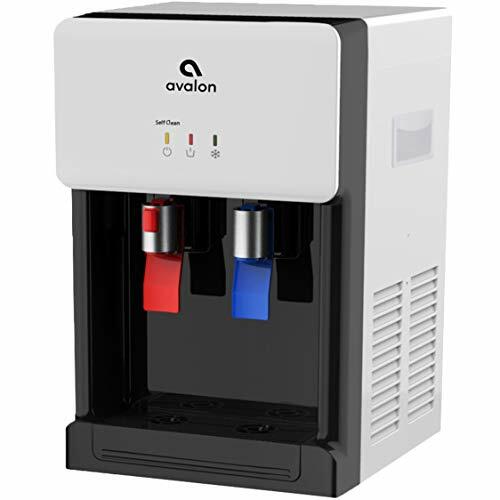 To help you get started, we've included coupons with your dispenser purchase to try both options at one of thousands of retail locations in the U.S. Start drinking more water with this energy star rated, bottom loading water dispenser today! 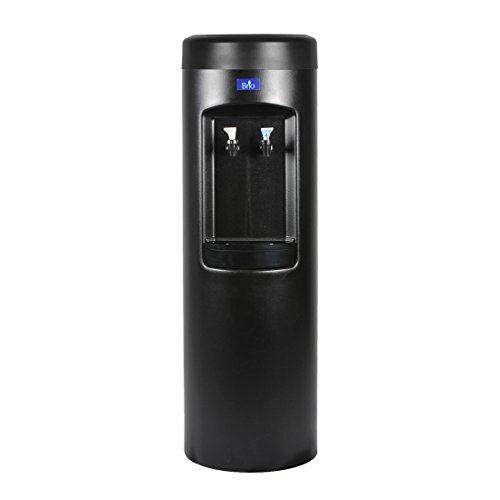 Bottom-loading bottled water dispenser. 2.0 compressor cooling system; dispenses icy cold, cool, or piping hot water. Pump with handle, single spout, and stainless steel drip tray. LED nightlight. Black/stainless steel. ENERGY STAR qualified. Capacity: For use with 3 or 5 gallon water bottle. 14.25" W x 40.9" H x 12.25" D. The product is manufactured in China. 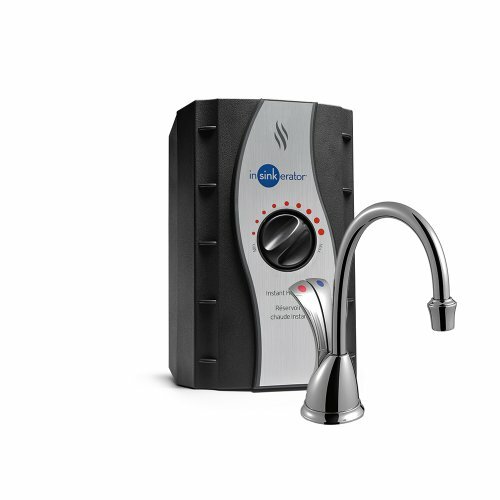 The Farberware FW29911 freestanding hot and cold water dispenser is engineered with advanced electronic cooling and heating methods to provide you with safe and efficient cold water and boiled water for making tea, coffee, cold drinks, soups and more. 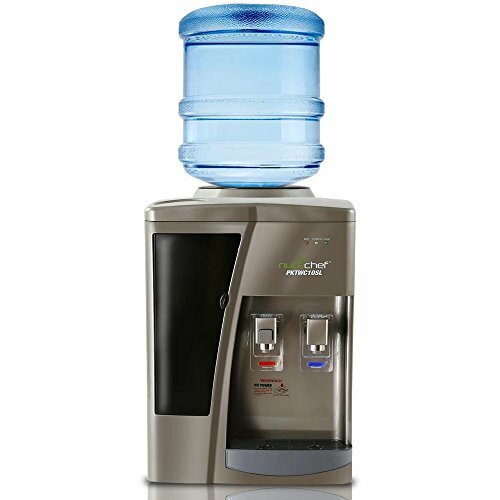 The freestanding water cooler provides quick heating and cooling with low noise and low power consumption and features a lightweight and stylish design that is perfect for the home. 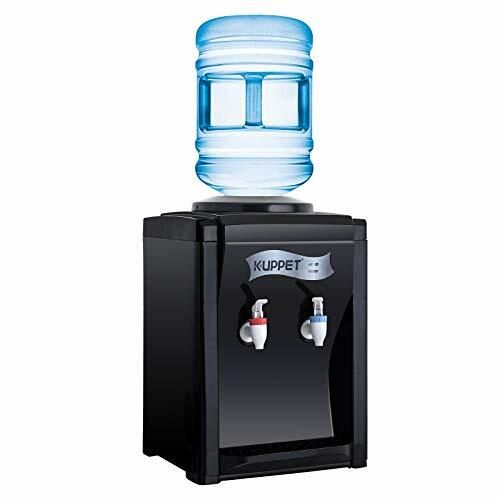 The water dispenser is equipped with a bottom storage cabinet and can be used with a 3 or 5 gallon water dispenser bottle. 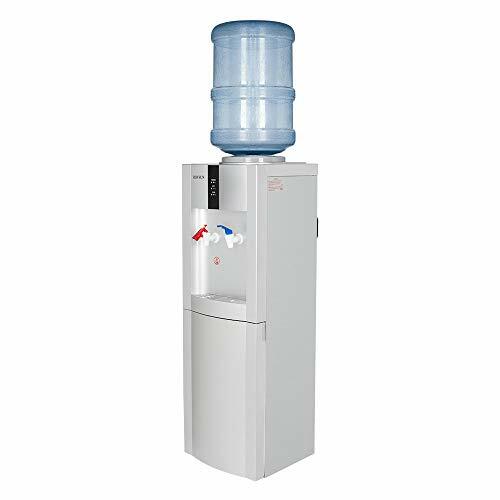 This hot and cold water dispenser appliance is designed for indoor household use only, please read the water dispenser user manual prior to use.